The fabric for this bandolier is aqua with little scissors skipping lightly across it. 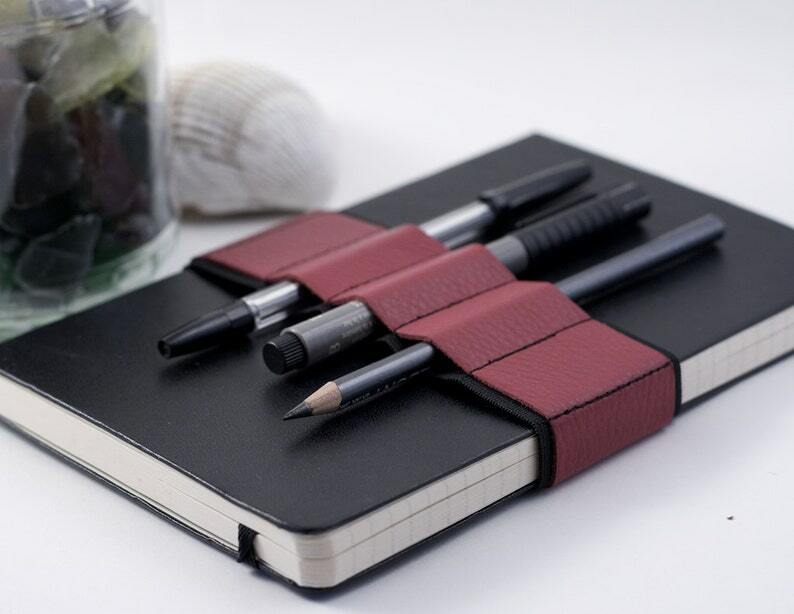 If you take your journal with you when you travel, this item (& the ones like it) is for you. No more crumpled pages, bent covers, or searching for the pen you like to use. And your journal can't flip open at a friend's house, inviting an easy browse.